We exist to create original, handcrafted quality pieces that are made to last a lifetime. Karl is a professional designer who enjoys taking the time to get to know you, to understand your vision, and to use his skill to bring your vision into reality. In his previous life Karl was employed as an aircraft engineer for the RAF, but he always had a love of woodwork and a strong desire to follow his “calling”. Saltwood is the manifestation of Karl’s dream and the culmination of a life spent honing his craft. Saltwood Designs is an award-winning bespoke, handcrafted furniture, cabinetry and fabrication business specialising in custom made timber pieces to suit discerning clients. 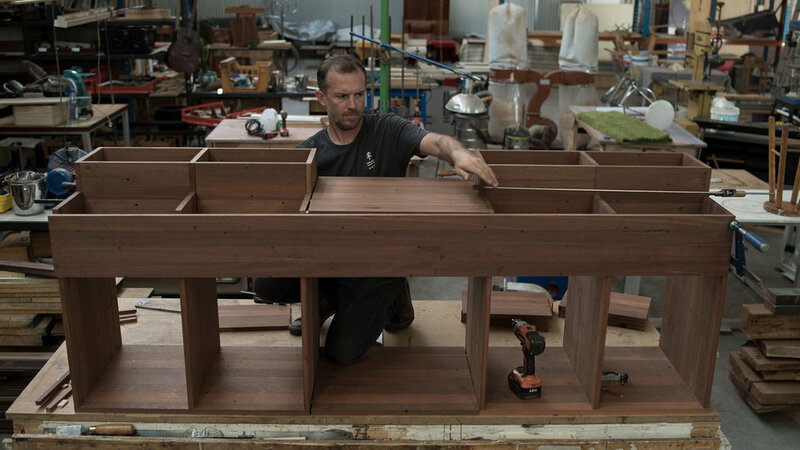 All items are made on-site in our North Fremantle workshop - formerly the Matilda Bay Brewery. We make made-to-measure furniture that looks incredible and is designed to last a lifetime.